With the bustle of Christmas behind us, I found myself with a little bit of free time this past weekend. Confronted with an empty stomach and the infinite possibilities of what to do on a blustery January day, I did what any hungry outdoorsman would do. 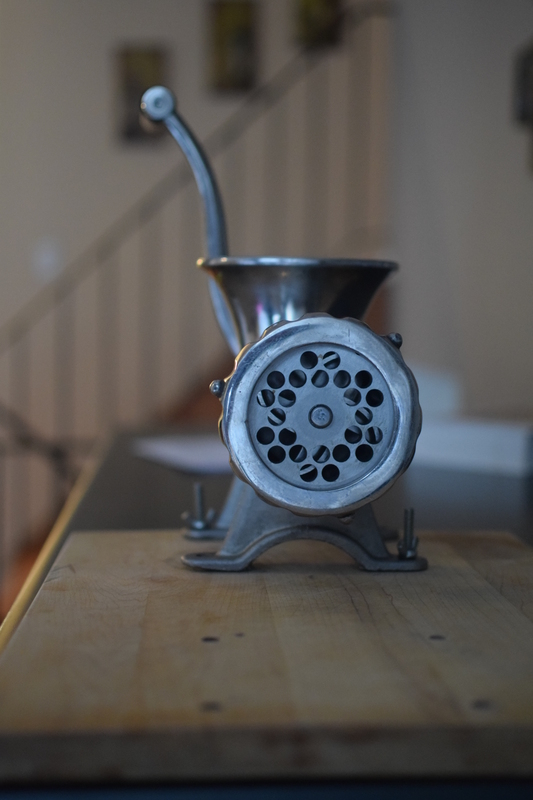 I busted out the ground venison and the old stainless steel manual grinder. Yes, it was sausage time once again at my house and I was excited to try out a new recipe as well revisiting some old reliables. After an intense internal debate on what to make I decided on two recipes; the first was a Mexican Chorizo (recipe courtesy of Micheal Rhulman and his book Charcuterie); and the second was a Spanish Longaniza posted by Hank Shaw on his website . The Mexican chorizo was delicious and has been a favourite of mine for a while. Orginally this recipes was designed for pork, however I found it will also accommodate a 50/50 pork venison split. 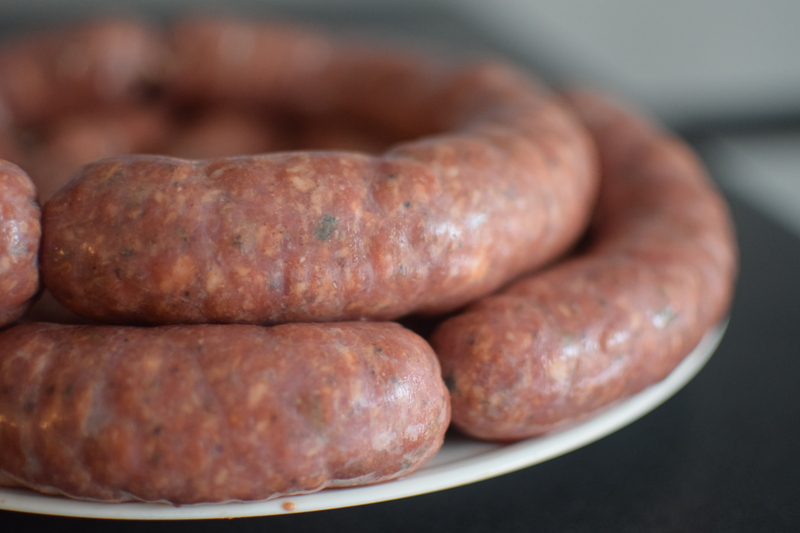 Suitable for adding to a soup, gumbo or even on its own, this sausage packs a flavourful punch with a bit of spicy kick. Next was the Longaniza. I was unfamiliar with this sausage and wasn’t sure what I was getting myself into with it. And by unfamiliar, I mean I hadn’t even heard of it before, little own taste it. Still, I was determined break some of my culinary boundaries and take my taste buds for a walk. Besides, If I had to put blind trust in anyone’s culinary sense as it relates to wild game, Hank Shaw would be the guy. For my version, I used 50% pork shoulder and 50% ground venison which turned out great, however I am confident this recipe could easily handle a 30% pork fat to 70% venison ration. 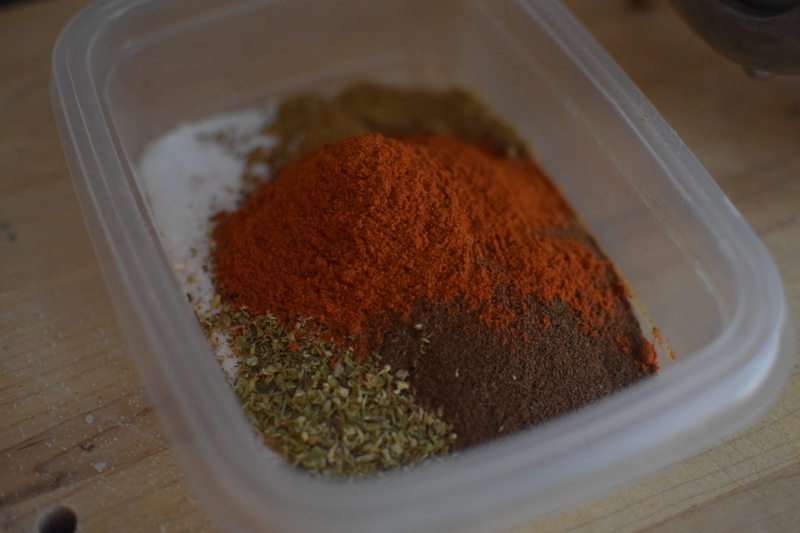 I made a few minor tweaks to the seasoning that included substituting the sweet paprika for regular paprika with a tea spoon of sugar, using a home made merlot for the wine, and using crushed dried rosemary which I harvested from my garden this year. I reduced the rosemary to 1.5 Tablespoons of dried versus the 25 grams of fresh that is called for in the recipe. The final product surprised me in its strength of flavour and complexity with the major tastes of the rosemary and allspice being supported by the rest of the ingredients. I had decided to make this sausage on a whim with no real expectations but ended up striking gold in the flavour department. I was impressed. I was so impressed by the taste, I decided to save a bit of the mixture to form into patties for some sandwiches served at diner that day. 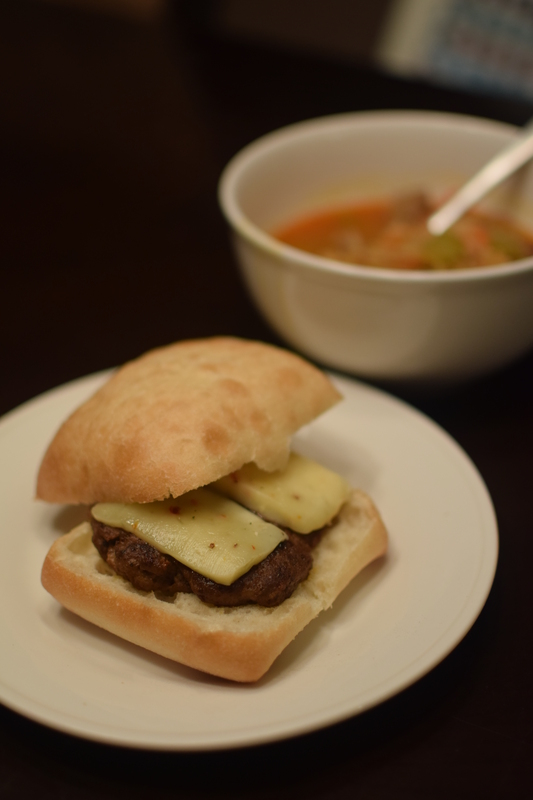 A little bit of Jalapeño Havarti on a ciabatta bun and dinner was served. Accompanied by a spicy vegetable and venison chorizo soup, the meal was extremely satisfying. I had this idea in my head that trying new venison recipes was a gamble. These pre-conceived notions are likely directly related to some poorly butchered meat I had in the past. All it takes is one bad experience to riddle you with inhibitions, especially when it comes to food. I am happy to say I no longer buy into this view, ever since I started working with my first deer which I harvested last year. What made the difference? My deer was taken quickly with one shot, the meat was cared for and butcher appropriately, and the resulting product was far superior to any I had worked with in the past. The key here is to start with quality if you expect quality. 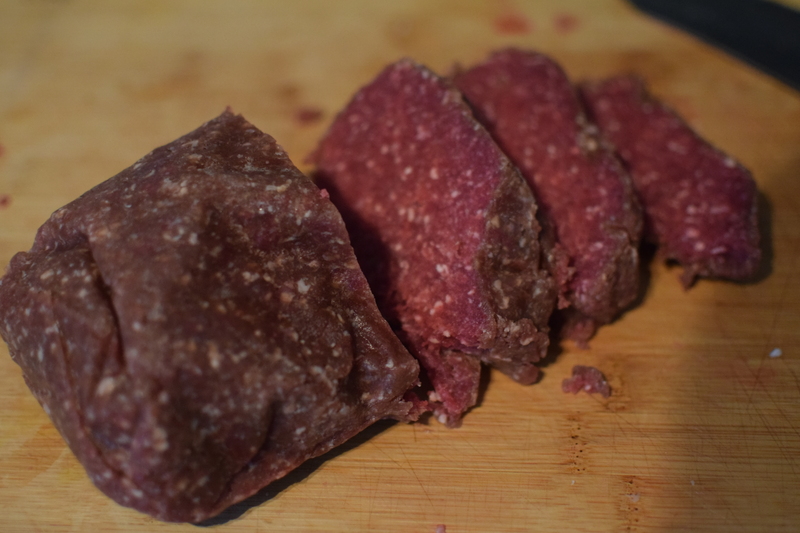 Its seems after a few resounding successes with my goulash, Salisbury steak and now the Longaniza, the restrictors are off and it seems Im ready to put venison in just about anything.